MD TLC is a world-renowned Cosmetic Laser and Concierge Medical Practice established in 2000 by two best friends – President and Owner Flo Goshgarian and Dr. Dianne Quibell, MD. A business built upon integrity and trust, MD TLC serves as a model for the relationship we strive to build with our patients. We pride ourselves in offering world-class care in a personalized and professional environment. Our physicians take pride in listening to the patient’s desires, keeping their concerns at the forefront of treatment recommendations. Dr. Quibell with her expert staff performs each and every consultation. They will formulate a personalized treatment plan according to your aesthetic goals and timeline. We use former photographs to determine your signature feature to ensure you will look like a rejuvenated version of your younger self. We look forward to meeting with you and hope that you will become a part of our family! MD TLC is internationally recognized for excellence in training physicians on the latest technology and Aesthetic Procedures. Since 2002, we have taught over 25 courses per year on Laser Aesthetics, BOTOX®, and fillers. Flo Goshgarian is an innovator and educates physicians how to introduce lasers and aesthetics into their existing medical practice. Dr. Quibell is noted for taking complex and boring laser physics and teaching them in a manner that can be understood by all. 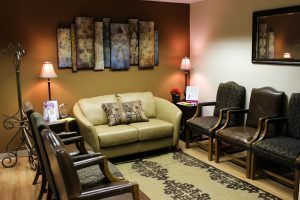 MD TLC is located in Wellesley, MA, right off highway 95 and one mile south of the Mass Pike, which offers a convenient location for patients traveling from Boston as well as Metro North and South.